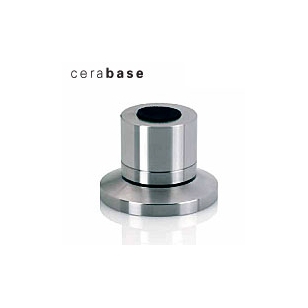 The CERA technology is based on direct coupling for effective transfer of sound interfering resonance. Fast resonance transfer is provided by extreme hard high-tech ceramic balls. Combined with precision machined materials like stainless steel or aluminum the optimum balance between damping and deflection is achieved. The resulting vacuum effect draws off unwanted resonance directly where it evolves. The clear advantage: no resonance build-up, no overdamping, no loss of deflection. The CERA technology improves the sound wherever sound-impairing resonance restricts the musicality. The top-of-the-line model of the CERA family harmonizes transparency and three-dimensionality with precise definition, timbre and dynamics. The newly gained integrity and emotionality of the music enrich the listening experience beyond comparison. IsoPuck bases antiresonantes. 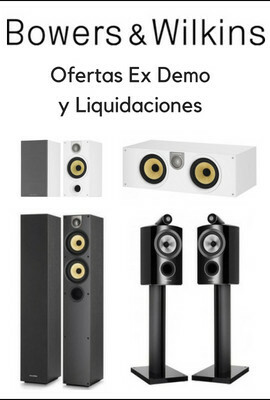 Diseñado para electrónicas, monitores de estudio, subwoofers y amplificadores de instrumentos. Altura 30 mm. Diámetro 60 mm. Pack de 2 unidades. Carga de hasta 9 kg por unidad. Recomendado el uso mínimo de 3 unidades por altavoz. Base e innovadora plataforma para el aislamiento de componentes de audio: la Sanctum.